HP scientific calculators are designed for students and professionals providing performance on all levels for years. These reliable calculators are equipped with easy-to-use problem solving tools, enhanced capabilities. HP 10s+ scientific calculator can be used for algebraic, trigonometric, probability and statistics functions. You can view expressions and results simultaneously using the 2 line, 10 character display. 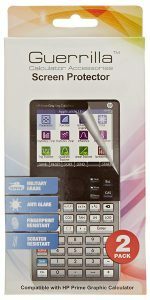 it has dedicated keys for common calculations including percentage, pi and sign change for quick and easy use. 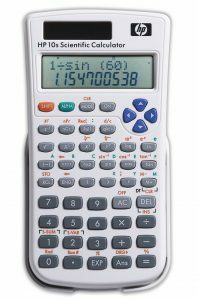 This calculator can be used for scientific and mathematical applications. It has a large 10 character display with 2 lines so you can fit more mathematical functions on the screen. It's dual and solar powered, with the battery acting as a back up for longer use. Store and recall important result suing the easy-to-use emory keys. 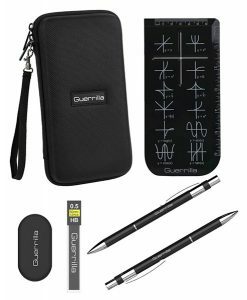 There are dedicated keys for certain functions making this ideal for quick calculations. It has 240 built in functions. It can quickly convert decimals to fractions and perform other hexadecimal functions including degree, hour, minute and seconds conversions. It has editable lists for statistics, standard deviation, variance and more. 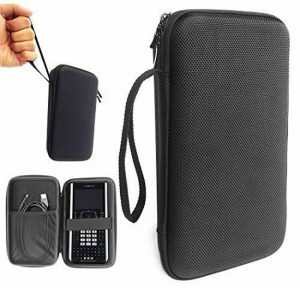 The protective cover will help to keep your calculator safe from everyday wear and tear. Decimals between -1 and 1 can be shown in either an exponential or decimal format. Bought this to replace a HP 33S that I had worn out, Some of the buttons had broken free of their pivots & were floating around under the faceplate. Totally happy with the new one. Glad I was able to find a direct replacement. Some of the newer HP calculators have changes that I don't really care for. I have no need of calculators that graph or know the sine of a secant, or calculating the log of a log. It works really well for being more accurate than a slide rule. From this buyer, it came with a pretty good instruction manual, which I respect. Great value for the money. Mine came without batteries at all, inside the calculator or outside the package, even though it says: "Batteries 1 CR5 batteries required. (included)"
Other than that, this is a quite decent calculator. The stats functions are a bit annoying to deal with, but they work. You just have to read the manual. I dislike intensely the general design and the keyboard layout, especially the size and placement of the ENTER key, but the feel of the keys is very good. I like the two-line display format, but the decimal point is close to invisible, and this has caused me to make some mistakes in using the calculator. I bought this calculator because I had owned two other HP RPN calculators previously and I wanted a new one to use in my side business. I have since bought an HP35S to use in my day job, and I am much happier with its key layout and display. The '35S hadn't come out yet when I bought the '33S; the '33S was the only scientific (as opposed to financial) RPN calculator I could find on the market at the time. If the '35S had been available at the time I wouldn't have bought the '33S. Having said that, though, I'm too frugal (cheap) to scrap this one and replace it with another '35S, because it is still working well after 10 years plus of use. This is my second time buying it. First time, I used it for college Gen Chem I and II. This time I am using it for college Gen Physics I and II. The best calculator! I don't like the TI-30Xa. If you are in between this and that, buy the HP 10s. The decimal is really hard to see. That is really my only complaint. Great calculator for the money. Love the two lines and the ability to recall the answer from the last calculation easily...makes advanced physics solutions much easier. My husband has been using this calculator for several years and when his finally failed we were more than pleased to be able to replace it with the same model at a reasonable price.